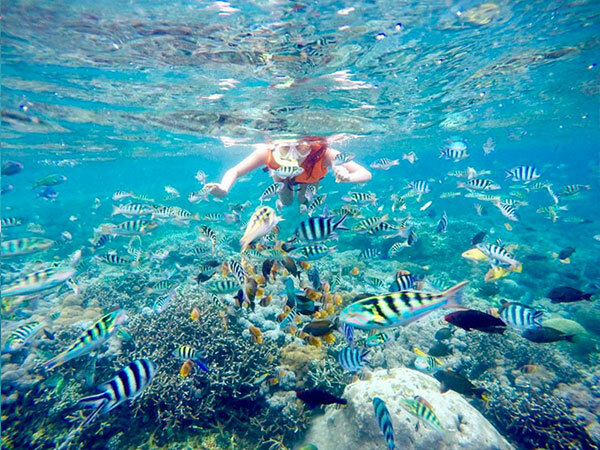 Snorkeling 4 Points Nusa Penida - Special packages for 4 snorkeling spots in Nusa Penida are prioritized for those of you who want to enjoy snorkeling as much as you like on Nusa Penida, without visiting other attractions. We will explore the underwater beauty of Nusa Penida for that, we choose you interesting snorkeling spots in Nusa Penida. 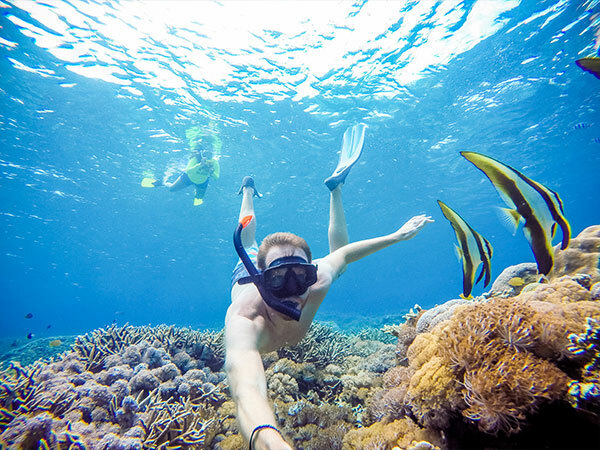 In this package, we will be snorkeling into 4 spots in half a day, while those spots are Wall Bay, Manta Bay, GT Point, and Gamat Bay/Crystal Bay. Of these four spots, of course, having different underwater beauty will add to your snorkeling experience in Nusa Penida. 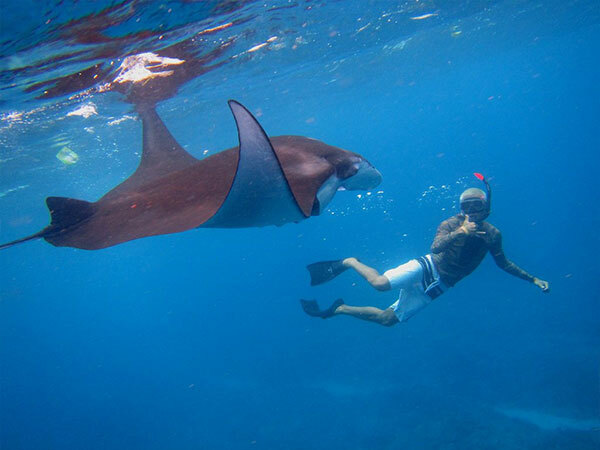 Enjoying a special package of 4 points snorkeling Nusa Penida is better with a group or family will feel more fun and summarize the cost of travel. 06.30 – 07.00 Pick you up from your lobby hotel/villa. 07.30 – Meeting points and registers at Sanur port. 08.00 – Departure of the first fast boat from Sanur goes to Nusa Penida. 08.30 – Arrive at Toya Pakeh port, team snorkeling penida "welcome" you. 08.40 – Nusa Penida Snorkeling Adventure begins with the preparation and direction of our snorkeling boat at Toya Pakeh. 09.50 – Wall bay snorkeling spot. 10.50 – GT bay snorkeling spot. 11.30 – Manta bay snorkeling spot. 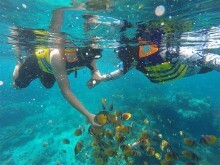 12.00 – Gamat/Crystal bay snorkeling spot. 13.30 – Return to Toya Pakeh Nusa Penida. 15.30 – Fast boat departs back to Sanur. 16.10 – Arrive at Sanur harbor and back to your hotel.